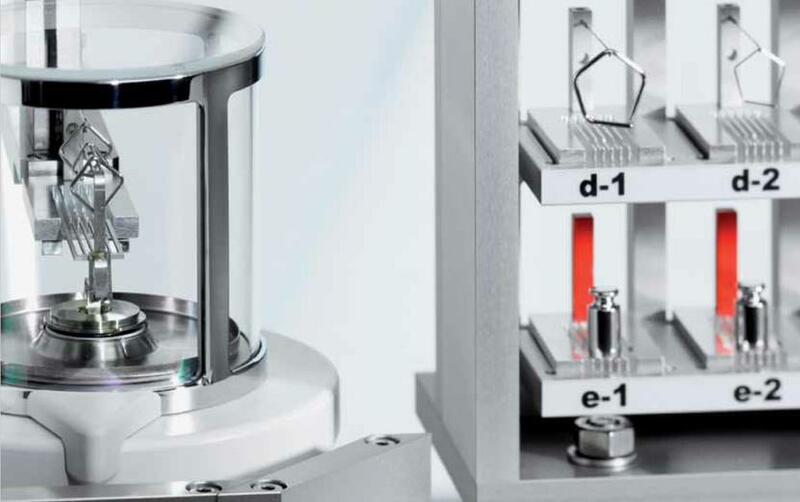 Vacuum comparators are used by National Metrology Institutes to improve their measurement accuracy by performing mass determination at constant pressure or vacuum. 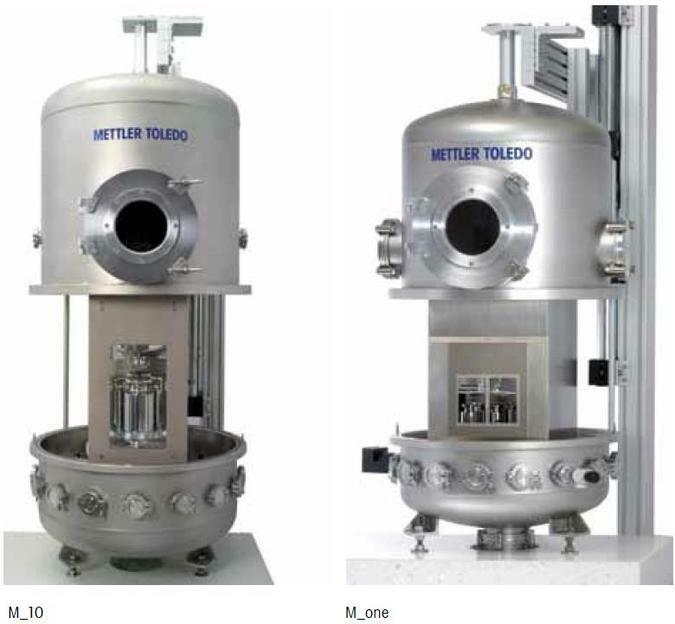 The METTLER TOLEDO M_one and M_10 are designed for various artefacts with results accurate to within 100 nanograms, whilst offering unique flexibility features. 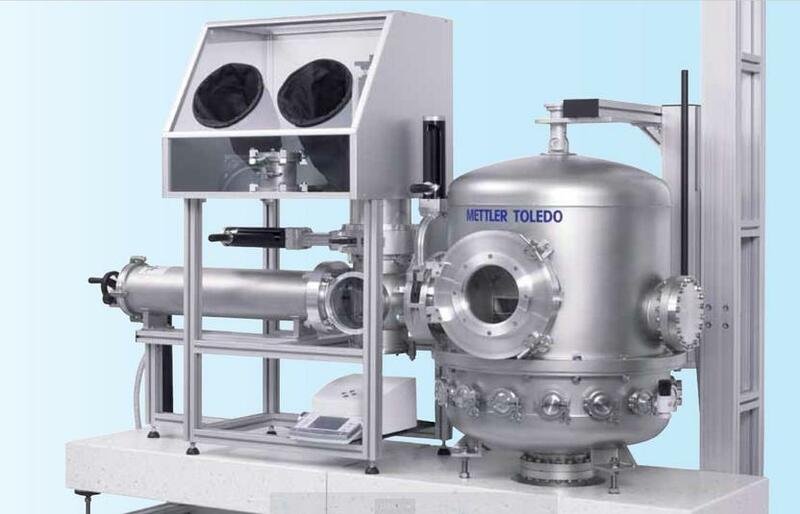 METTLER TOLEDO’s M_one mass comparator sets a new benchmark in the field of ultra-high precision weighing. Masses can be determined with an accuracy of 100 nanograms, a proven typical repeatability of 300 nanograms and a result data comparison of 10 nanograms. 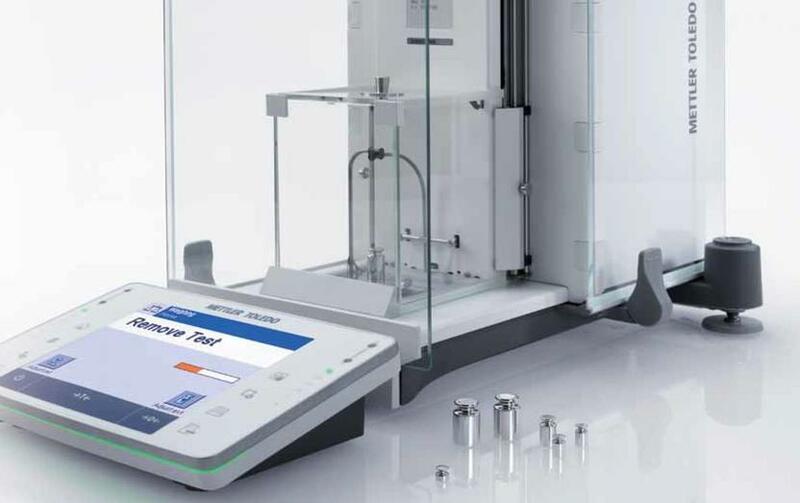 The Load Lock system with its Artefact Transfer Device (ATD) enables a contamination-free loading process of weights or artefacts from their ASTV to the M_one without interrupting the controlled environment of the weighing chamber. 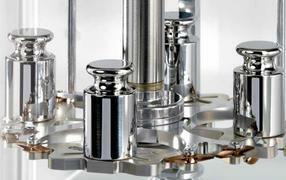 The vacuum oomparators pumping system creates controlled measuring conditions from ambient pressure down to 10–6 mbar. The unique Artefact Storage & Transport Vessel (ASTV) ensures objects are always kept in the stable conditions of a vacuum or inert gas and prevents contamination from the surroundings. Thanks to the unique STAR-shaped weighing pan, the M_one may hold OIML weights from 1 mg up 1 kg. 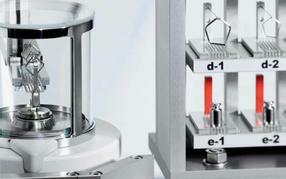 In addition silicon spheres up to 100 mm in diameter or density artefacts can be placed directly on the weighing pan. The user places weights directly on the vacuum comparators turntable through the large quick-loading door. Besides visually monitoring your loading process, the ergonomic design allows direct access to the weight handler without lifting the entire pressure enclosure. 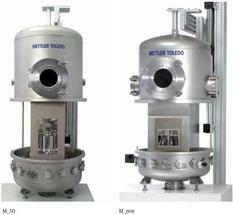 The M_one system, Load-Lock, artefact transfer module and vacuum systems are designed on the basis of a modular concept. Regardless of the initial configuration, this offers the option of expanding the system as the applications demand and the budget permits. The AGC positions all types of artefacts exactly in their gravimetric center before measuring. This reduces eccentricity error to a minimum and ensures the highest possible repeatability of measurements. National Metrology Institutes can mutually compare their standards using the M_one and M_10 in combination with the optional Klimet A30V. The Klimet A30V measures all environmental parameters at highest accuracy to determine air density for compensation of air buoyancy influences. 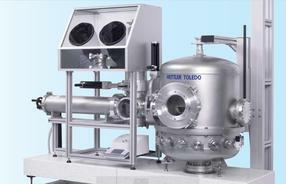 Completely control your mass calibration processes with vacuum comparators M_Control software. Use the optional Efficiency Pack for increased measurement accuracy by post-processing of air buoyancy.